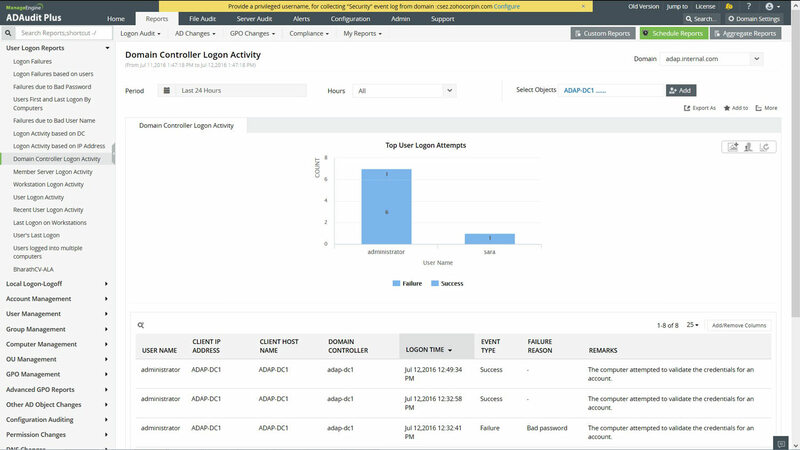 Logon Failure Report in real-time provides information on the logon failures and the reason for logon failure over a selected period of time. Multiple logon failure attempts (bad logon attempts) on User accounts in the selected period of time is reported. This equips administrators with information on possible attacks on "intruder attack susceptible" accounts. Information on logon failure alike when a logon failure occurred, logon failed account, and possible failure reasons is reported. Logon Activity on Member Servers and WorkStations provide information on user logon into selected Member Servers or Workstations respectively. Both these reports function similar to the "Logon activity report on Domain Controllers" making the handling and understanding of the software a breeze. This report lists information on the time of last logon on to a Workstation or Computer, by all users who have successfully logged on a day. This report could be used determine absenteeism or current availability status of users in the organization. Last bad logon on a workstation can also be determined. Windows Active Directory allows its domain users to login into multiple computers at any given instant. 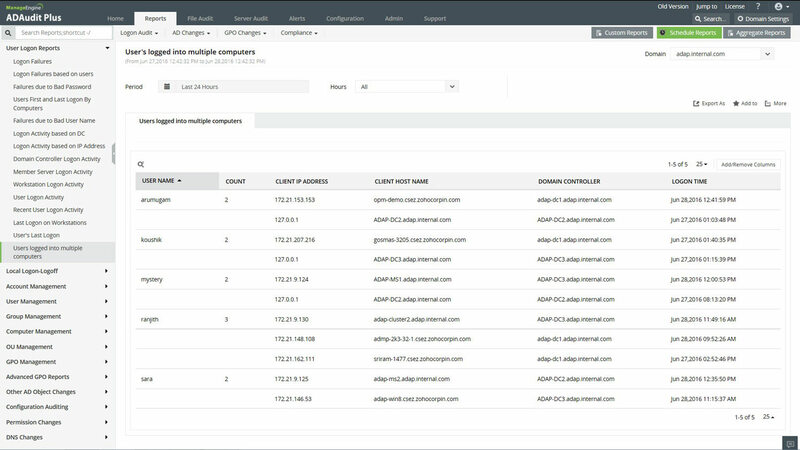 Administrators, auditors and managers require advanced tools to track these logons to ensure that resources are used as desired. Users logged into multiple computers report provides the last logon data of a user/users into multiple computers within a given time frame. This report acts as an index in auditing users who logon into multiple computers.